Do you find yourself hitting the Facebook boost post button and hoping for results? Or setting up an ads campaign on the fly, hoping for leads, but instead being hit with a huge invoice for ads that seem to have given you nothing in return? Maybe you are spending money on your ads but you don’t even know if they’ve reached the right people. It doesn’t matter how big (or small) your business is, or how much money you have to invest in Facebook ads. You want to see a return on your ads budget, whether that is in terms of sales, leads or simply an increase in your brand awareness. With this type of advertising being so accessible to people, it’s easy to waste money – we’ve all been there (yes even me). But this doesn’t have to be the case! Do these 3 things right now & stop wasting money on Facebook ads. Facebook is very crafty, it sends you a notification telling you that you could be reaching more people and suggesting a boost. And despite recent events, we still trust Facebook when it makes these suggestions so we hit the boost button, set some simple targeting and hope for the sales to roll in. 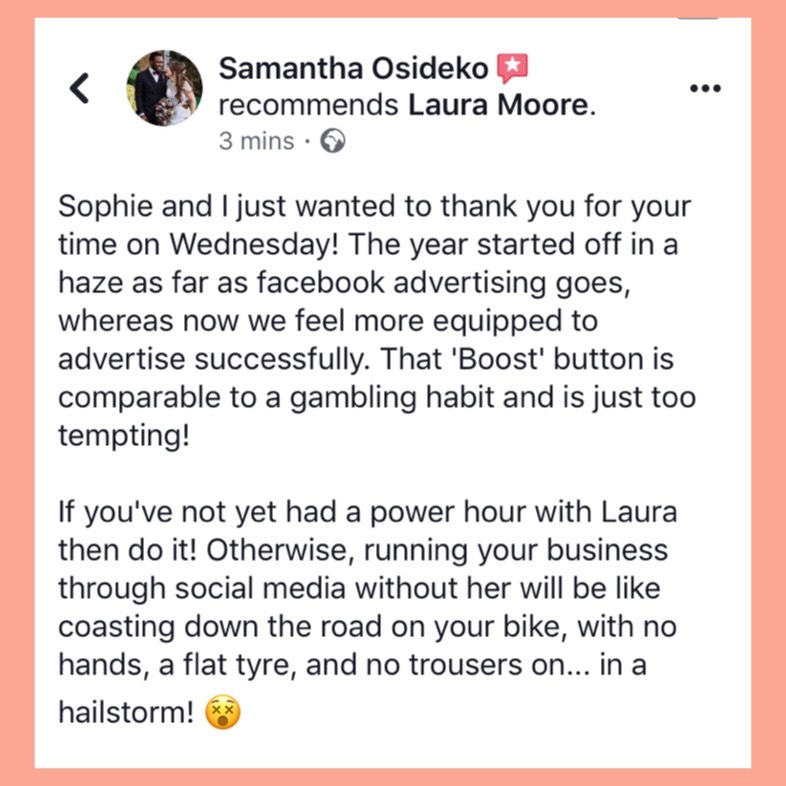 Because if that post wasn’t bringing in the results you wanted organically, simply putting some money behind it isn’t going to change much! It’s just going to show it to more people that aren’t going to take action! This post will explain more about why you shouldn’t boosted posts aren’t a great advertising strategy. The quickest way to waste your ads budget is by showing your ads to people who are never going to be your customer or who already are! A recent client was trying to target women who were pregnant or had a newborn baby. Her targeting was off as her audience ranged from 18-60 and included men and women but she knew the decision makers she needed to reach were typically women aged 30-38. So, by showing her ad to everyone else she was wasting money on people who would never become her clients. I recently made a purchase but was still being served ads on Facebook for the product. It was a high ticket item and a one off purchase and no matter how many times they showed me the advert it is highly unlikely I would have bought another one – nor would anyone else. By continuing to show their ads to me they not only wasted their budget but they started annoying me in my newsfeed and put me off their brand. So while it is really important to target the right people in your audience, it’s equally important to exclude certain groups of people too. Learn how to use Facebook & Instagram ads! Not everyone can afford to invest in a Facebook ads manager to look after their ads budget, but you can still benefit from their expertise. There are other ways you can work with an experienced ads strategist if you aren’t yet able to invest in full ads management. Learning how to give your ads budget the best chances of success is vital. There are so many moving parts when using Facebook & Instagram ads. Giving yourself a good understanding of the basics will put you one step ahead of the crowd and more able to beat the competition to get your ads shown to the right people. A power hour (£169) is a great way to get hands on and learn the basics of ads manager and how to set up an advert or take a look at your previous ads and unpick why they haven’t performed as well as you’d hoped. I can also help you over a longer time period, and give you a bit more hand holding over the course of up to 3 months. We can work out your advertising strategy, discuss audiences and carry out testing. Then, once your ads are running, you can check in with me to get additional support along the way to ensure they are optimised for success. The Nurture package (£297) means you can have a second set of eyes on things to spot why things might not be working quite as well as you’d expected. You might prefer to learn with a group of other business owners, in which case a workshop would suit you better. You can often find events like this on EventBrite so it’s worth having a search in your local area. If you are in the Sussex are then you might like to join my Brighton based Workshop in March. Tickets available below. 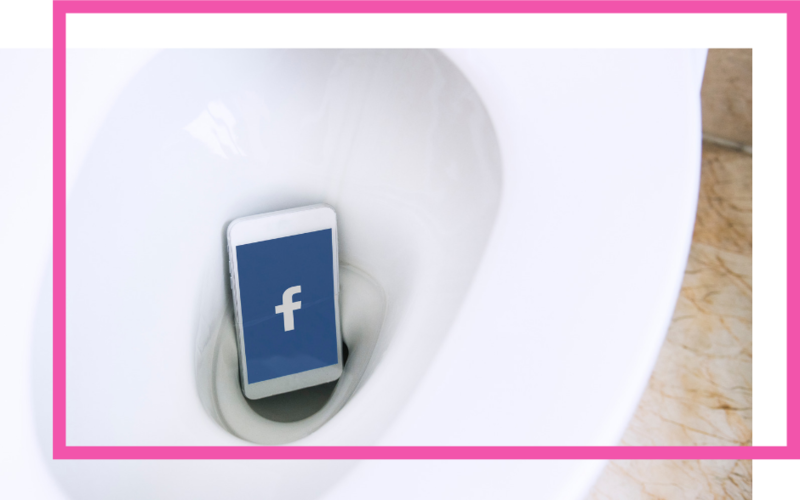 Of course, there are lots of other ways to stop wasting so much money on your Facebook & Instagram ads. Get in touch to see how we can increase the results you are getting from your ads and prevent any more wasted advertising budget.